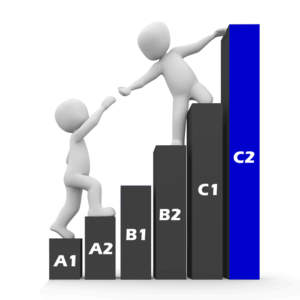 English level C2 (Proficiency) is the sixth CEFR English language level. understand virtually everything heard or read with ease. The study targets for English level C2 require you to have excellent control of all the previous targets. You can also click on individual items in the other levels for free online English lessons, which include descriptions of each language point, examples and quizzes. You can express yourself fluently and precisely in any topic. This includes complex situations and the ability to communicate accurately in formal and informal settings. You have an excellent range of vocabulary, including idiomatic expressions and colloquial language. You can use phrases and expressions accurately with natural and sophisticated control. You can use a full range of grammatical structures accurately and appropriately. You can naturally use different linguistic forms to convey finer shades of meaning.